​Believe it or not, this is good news for Johnny Football. For former first-round Browns pick Johnny Manziel, his dreams of returning to the NFL have him ​working his tail off up in Canada. After joining the Hamilton Tiger-Cats, many out there were hoping he'd be able to put on a ​show and impress scouts. 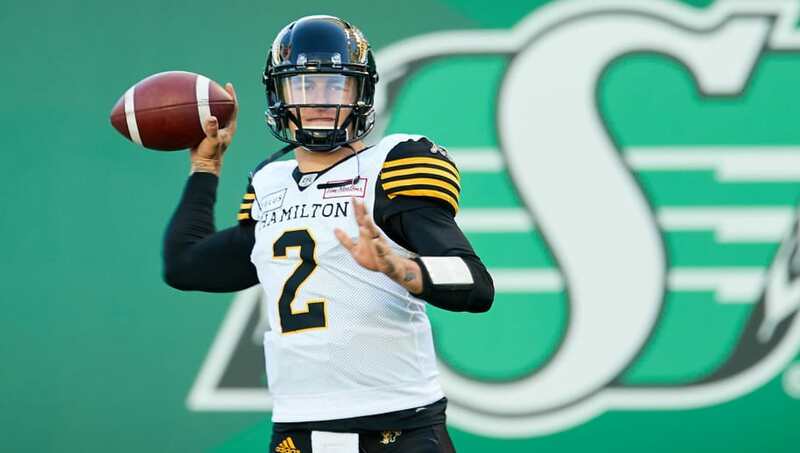 However, Manziel has been stuck as Jeremiah Masoli's backup. Now, he'll get the chance to see time on the field, as he's reportedly been traded to the Montreal Alouettes. Johnny Manziel to Montreal is a done deal. Expect an announcement shortly. Though this isn't the move Johnny supporters were hoping for, as he's just headed to a new CFL team, Montreal has struggled offensively this season, specifically at QB. Per ProFootballTalk.com, Drew Willy, Jeff Mathews and Matt Shiltz have all earned time behind center for the team. No one has been able to stand out. They wouldn't trade for Manziel just to see him hold a clipboard and stand on the sidelines. Should Manziel be given a chance to start, it'll be on him to show the fans up North he's not just a publicity stunt, and is serious about returning to his old form. Time will tell if Johnny Football can get the job done.